Known as the Summer Capital of the Philippines, Baguio City is certainly a place that any traveler should visit at least once in his entire lifetime. The city offers a wide range of exciting destinations to visit. Of course, Filipinos are known for our rich culture and practices which also includes bringing pasalubong and souvenirs from any trip, far or near. 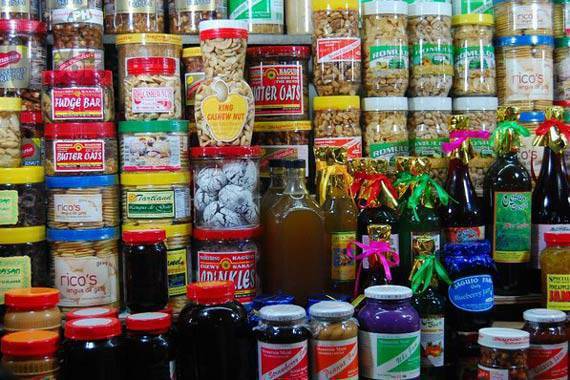 You’ll find many pasalubong items throughout the city. A trip to Baguio would never be complete without sampling the local delicacies and bringing some of these for friends and family to taste back home. Also, the city is home to several artists and talents whose notable handicrafts never fail to amaze tourists. Baguio City is well known as the country’s top producer of strawberries, lettuce, tomatoes, and various fruits and vegetables. A number of different species of beautiful flowers is also cultivated in its fertile lands. A tour around the city often includes time spent at the strawberry farms where you can actually pick your own basket of these succulent fruits. The freshest fruits and vegetables can be found across the city so that most of those who come to visit never fail to bring back some fresh produce. It’s not just with fresh produce that Baguio City managed to excel at – sweets and preserves are also quite the most delicious you’ll ever taste. Most tourists find it hard to decide what to buy from the wide range of mouthwatering treats available for sale. There’s coconut jam, cashew brittle, peanut brittle, ube jam, strawberry jam, among others. Made from the freshest ingredients, there is no question that the strawberry jams are a must-taste and must-buy in Baguio. If you were to choose just 1 product to buy, then this is it. Make sure to choose the jars with whole strawberries included in the preserve. Treat yourself to the exquisite silver jewelry crafted by Ifugao blacksmiths and Baguio craftsmen. These fine accessories make a great addition to your wardrobe collection. A wide range of items are available, including various types of rings, anklets, bracelets, necklaces, brooches, and other jewelry pieces. When it comes to hand-woven fabrics, nothing beats the colorful products created by tribesmen of Bontoc, Igorot, Ifugao and Kalinga. These ethic products showcase the amazing skill and craftsmanship of these people. You can easily buy colorful hand-woven shawls, clothes, blankets, and bags in many stores across the city. There are also plenty of stunning sculptures and furniture pieces being sold in the shops and stores in the city. These items range from very small pieces you can easily bring home as souvenir to large furniture or sculptures that reach the ceiling. Ethnic inspirations often dominate the market but there are also national and international pieces. Truly, these fine products show just how talented and innovative the people of Baguio City can be. A trip to the city is never complete without bringing home a couple of fresh produce, jars of sweets and preserves, and finely crafted masterpieces.